Make Ariel, Sebastian, and flounder a part of your world! This sculpted ceramic cookie jar features hand-painted detailing. 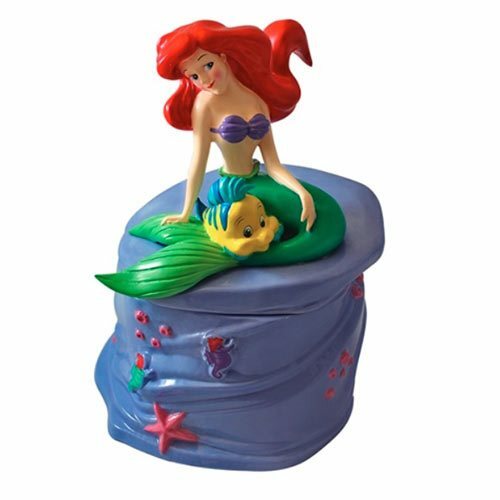 Packaged in a full-color gift box, the Little Mermaid Sculpted Cookie Jar measures approximately 9-inches wide x 6 3/4-inches long x 11 1/2-inches tall. Hand wash only.